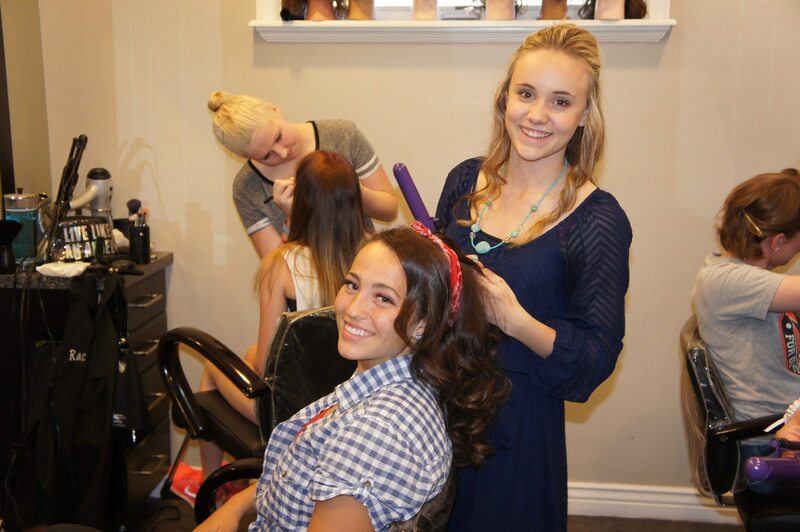 The Forum Academy of Cosmetology in American Fork helps many students each year launch careers in the beauty industry. Students come to the academy feeling passionate about pursuing a career in a field revolving around fashion, elegance and beauty where they can use their passion to help others look their best and experience the satisfaction that goes along with it. The curriculum at The Forum Academy meets all of the requirements for licensure under the guidelines of the state of Utah, but it is the method of teaching that sets The Forum Academy apart from other cosmetology schools. All of the instructors at The Forum Academy currently work as active cosmetologists as well. They’ve spent years perfecting their artistic techniques and stylish secrets to pass along to students, and their enthusiasm shows as they teach. When asked what inspired them to open a cosmetology academy, Tonya and Vicki said it was because they noticed a lack of necessary skills in many newly licensed professionals they encountered and because they desired to teach the skills that helped them become successful as cosmetologists. “One of the many characteristics that sets us apart from any other cosmetology school in the area is the quality of our cosmetology program. Our years of industry and educational experience has given us the know-how to transform students with high aspirations into skilled professionals so they can succeed in a career they love,” said Tonya. “We go above and beyond for the education of our students. We truly care about their success before and after graduating,” added Vicki. Students who attend The Forum Academy get to experience unique events and fun occasions while obtaining a great education. Annual fashion shows, hair shows, photo shoots and instruction from well known guest artists are just some of the attributes that help make The Forum Academy unique. Tonya and Vicki both agree they want their students to experience as many career options as possible. The diversity of opportunities in cosmetology is great and it can be a lot of fun for those interested in it. To learn more about The Forum Academy of Cosmetology, visit their website or contact them asap.